Basile Muntean, D.D.S, M.A.G.D, F.I.C.O.I. Dr. Muntean is committed to continuing education, being a Master and distinguished Fellow of the Academy of General Dentistry, Fellow of the International Congress of Oral Implantologists, and a member of the American Academy of Implant Dentistry, American Congress of Oral Implantologists, Southern California Society of General Dentistry and multiple dental study clubs. Dr. Basile Muntean is consistently ranked on the annual lists of OC Magazine (Five Star Dentists) and LA Magazine (Southern California’s Top Dentists) and was selected for the Best of Orange Award in the Specialized Dental Practitioners category by the U.S. Commerce Association. He provides the highest quality dental care possible, in a caring and friendly manner, and in an amiable atmosphere that is enriching to both patients and staff. Dr. Muntean is a 2004 graduate of the Maxi-Course® Program in Implant Dentistry at the Medical College of Georgia, School of Dentistry. This is a year long program endorsed by the American Academy of Implant Dentistry, with the longest tradition of all implant programs of it’s kind and it is comprised of over 300 hours of classes and clinics. Since entering private practice in 1993, his patients’ dental needs and concerns have been his foremost priority. Through comprehensive communication regarding patient expectations and treatments (including risks, benefits and alternatives), Dr. Muntean has developed a strong, healthy relationship of mutual trust and respect with his patients. He has kept abreast of the latest advances in technology and techniques in all phases of dentistry, and implements them as appropriate. Master of the Academy of General Dentistry - The Master of the Academy of General Dentistry Award it is the highest distinction a general dentist can achieve and one of the most respected designations within the profession. Dr. Muntean joins an elite of 2,200 AGD Masters who have gone above and beyond the basic requirements to care for their patients oral health. Fellow of the Academy of General Dentistry is a prestigious symbol of dentistry’s continuous journey toward improvement and progress. Fellows of the Academy embody the Academy’s principles and ideals and accept an obligation to continually prove themselves worthy of the designation throughout their professional life. Fellowship in the International Congress of Oral Implantology is a recognition of exceptional interest in the advancement of Implant Dentistry. Dr. Carmen Muntean’s primary field of interest is Periodontics (Gum Disease treatment) and she has completed extensive courses in Periodontal Therapy. As the current medical standards-of -care shift to mandate multi-disciplinary management of compromising medical conditions, Dr. Carmen Muntean is continuously adjusting our treatment protocols by introducing the latest advances in this rapidly changing dental arena. With 60 percent of the adult population being affected by some stage of Periodontal Disease and with an increasing number of medical diseases being related to the presence of chronic oral infections, Dr. Muntean is elevating her practice to these new medical standards, through ongoing continuing education for the benefits of our ever increasing patient base. Dr. Krizia Garcia was raised in the Orange County area most of her life and currently resides in Irvine. She earned a B.S. in Biology from the University of California, Irvine in 2009 and worked as a dental assistant while applying for dental school to gain experience. She completed her dental education at the University of California, San Francisco – School of Dentistry. While studying dentistry at UCSF, she started a student organization aimed to helping the less fortunate in the community, and participated in several international mission trips focused on local undeserved children. She truly cares about the health and well-being of her patients and enjoys teaching her patients how to take care of their oral health at home. Dr. Garcia is always eager to learn and stay on top of the new techniques, materials and technologies available to her, to better serve her patients. 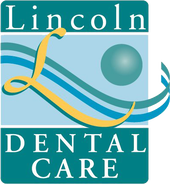 At Lincoln Dental Care we appreciate her professionalism, rigorous attention to detail and excellent dental work. When she’s not working, Dr. Garcia enjoys traveling as much as she can, both within in the United States and internationally. She has also started to go camping within the last few years, and is always taking suggestions for amazing hikes and campgrounds she can visit. While at home she is usually watching movies or baking pastries to share with her friends and family. The baking it is done while listening to the Beatles on repeat. Her friends always tell her she has an old soul because she enjoys listening to older music artists and watching old Hollywood movies from the 1940’s and 50’s such as any Frank Capra movie or any Cary Grant or Audrey Hepburn movie. Dr. Daniel Liang has been practicing dentistry for 10 years. He attended University of Southern California for undergraduate and went to Boston University for a Master of Medical Sciences program. Dr. Liang studied dentistry at University of Southern California where he received his D.D.S., earning Dean’s List all four years. Dr. Liang enjoys working in private practice. He also has experience working in a non-profit community healthy clinic serving the underserved and was a faculty dentist training future dentists. Dr. Liang practices by treating his patient with same care and attention as he would when treating his friends and family. Dr. Liang is married and has one dog, a 9-year-old American Eskimo. His hobbies include traveling, swimming, hiking and watching NBA games with his wife.